Refractory Cement is widely appreciated by our clients which are situated all round the nation. These Refractory Cement find their applications in numerous industries. 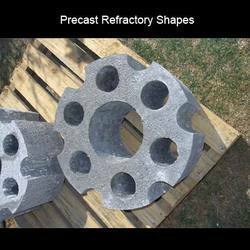 We also have the requisite facilities to custom develop refractory cement as per the specifications provided by clients. We are one of the reputed names in offering quality High Temperature Refractory Cement. 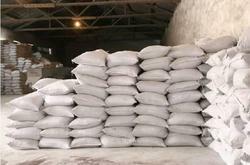 These are very important ingredient for manufacturing refractory ca-stables. Our range of High Temperature Refractory Cement is widely appreciated by our clients which are situated all round the nation. These Refractory Cement find their applications in numerous industries. We also have the requisite facilities to custom develop refractory cement as per the specifications provided by clients. NOTE :- We Are Looking Query Mainly From Pune, Mumbai, Navi Mumbai, Kolkata, Chhattisgarh, Bhubaneswar, West Bengal, Delhi & Haryana. We provide our customers fire cement which is ready mixed hydraulic setting Refractory Castable Shapes are made from aluminous cement (Calcium Aluminates Binders) and selected refractory.We provide technical consultancy and trading. Looking for Refractory Materials ?